You’ve received that phone call where the loved one on the other end of the line says, “I’ve been arrested.” Now what do you do? The first recommendation is to remain calm. Your loved one needs your strength now, so help them calm down as well. Ask them to be respectful with the authorities but to let them know that they should invoke the right to remain silent and that family is going to retain an attorney for them. Assure them that you will work on their behalf. It is not the time for blaming, shaming, yelling or escalating the situation in any way. If you were present at the arrest, you yourself must be respectful to the police office but are not required to divulge any information to them or answer questions. Find out at which jail your loved one is being detained, and on what charge. Give this information to an attorney that you have hired to represent your family in this matter. Phone calls are recorded at the adult detention centers in Virginia if you loved one is calling you on their pay phone system, so absolutely nothing should be said by either of you about the facts surrounding the case; or anything else that could be incriminating to you or your loved one. Address only the matter or arranging for legal counsel and how your loved one is holding up. You may or may not want to contact other loved ones. If you do, inquire as to their resources that may be able to help. A loved one who is arrested has: (1) the right to remain silent; and/or (2) the right to speak to an attorney. But he or she must tell the police (invoke) that they are exercising those rights if they intend to have them honored. If they start talking about the case, they may waive those rights simply by choosing to do so—even after first invoking them. No questions should be answered without the attorney present, regardless of whether the alleged crime is or is not a serious one. They should know that in questioning, the interview is either recorded, or the arrested party may be asked to sign a statement confirming that the interview record is accurate. The police will most likely photograph the arrested person and take fingerprints. They may also legally take a DNA sample or swabs of the skin on the arms and hands. If they want urine, blood or dental impressions, it requires the permission of the person, unless the arrest is related to driving while under the influence of drugs or alcohol. An arrested person can be held for up to 24 hours as a suspect or “person of interest.” After that time, they must be charged with a crime or released, unless a request for an extended incarceration is requested by authorities for 36 to 96 hours if the person is suspected in a serious crime. Those involved in acts of terrorism can be held without charge up to 14 days if arrested under the Terrorism Act. After questioning, the police may release your relative either without charge or on bail (secured or unsecured by a bond). If bail is not granted, the person may have to remain in police custody until the family can obtain an attorney to file a motion with the court to have a bail amount set by a judge. At an arraignment hearing, charges will be read and the bond amount and any conditions, such as the bond amount, will be set. If bail is met, the arrestee will be asked to sign a ”signature bond” that states that he or she recognizes his or her obligation to appear in court. You may help them pay the bail. The information in this blog post pertains mostly to adults who are arrested. Some different practices may come into play with minor children. For example, the child may have the right to an attorney present during questioning, but not a parent. An experienced family law attorney who has also handled criminal law matters can help you ensure your loved one’s rights are protected. Make contact with your attorney as soon as possible. Arrange for an attorney to help you with the immediate issues including representation during questioning and at the arraignment hearing. You attorney will also advise you as to the steps you need to take. Do not sign a long-term agreement with an attorney until you know what the charges are and whether you will need their help long-term. Beware of lawyers who try to push you into an extended engagement immediately or want to rush you to a plea bargain. Beware also of friends and family who try to give you legal advice. Stick to the licensed attorney’s recommendations. A criminal defense attorney, unlike a friend or family member, is the only one who can offer attorney-client protection for the statements made by the arrested person, and the only one who cannot be called to testify against the client as to what the client said about the events leading to his or her arrest. A family member is always open to being subpoenaed to disclose what the loved one shared. Thus, the reason to tell them nothing – even to you – and to save all discussions about their case for the attorney. You will need money to post bail or to pay attorney fees, so take action to gather the necessary funds. Criminal defense attorneys typically charge up-front deposits, and sometimes a flat fee, depending on the seriousness of the crime. People from any family can get arrested, so don’t get caught up in feelings of guilt. Deal with the shock and begin the process of rectifying the situation as best you can. And be aware that others, including family, friends, neighbors, co-workers, etc., may act in an accusatory way or say things that might be hurtful upon hearing of the arrest. Don’t let them incite and distract you; stick to your plan and follow the legal advice of your attorney. Attorney Patricia E. Tichenor spent a number of years handling criminal cases while practicing family law. The Law Office of Patricia E. Tichenor, P.L.L.C. is often called upon to help with highly-emotional issues such as family member arrests, and can provide legal advice and representation in a caring and competent manner to families in Northern Virginia. 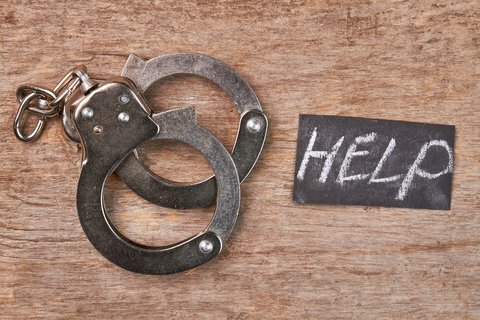 If your loved one has been arrested, contact attorneys Patricia Tichenor or Camellia Safi today. December could be known as the “giving season” because that is when many people’s thoughts turn to gift giving and charitable donations. 1. Know who wants your money. You may receive telephone calls, letters or emails asking for money, but you have every right to ask what percentage of your donation actually goes to the charity or fundraiser. If you don’t get a clear answer or don’t like the answer, look at donating to another group. 2. Verify the charity. Before handing over money to an unknown person or caller, check with the charity to make sure this solicitation is legitimate. Unfortunately, there are scammers who use an organization’s identity to grab money. 4. Understand the difference between “tax deductible” and “tax exempt.” If the donation is tax deductible, you can deduct your donation on your tax return. Tax exempt only means that the organization doesn’t have to pay taxes. 5. Don’t send cash. For both tax records and security reasons, never send cash through the mail or give a cash donation. Use a credit card or check that can be tracked. If giving online, check the organization’s URL in the browser bar and make sure it begins with “https”. The “s” means that the site is secure and the private information you are entering (such as your credit card information and password) is encoded and protected from hackers. 6. Don’t trust the drop box. Groups place drop boxes around the area where you can donate clothing and household goods. Verity that the organization is legitimate before donating by calling the phone number posted on the box and checking the website. Charitable organizations are required by law to register with the government before soliciting contributions, and those in Washington, D.C. must register in Virginia and Maryland as well as D.C., since their solicitation circulated in the Metro area. • Sign up on the Do Not Call Registry. Although charities may be exempt from the rule, this should reduce the number of calls you receive. Register online or call 1-888-382-1222 from the phone you wish to register. • Sign up for the Direct Marketing Association’s Mail Preference Service. This will allow you to opt out from receiving unsolicited mail for five years. • Send a note to the charity. Along with your donation, send a note requesting that your personal information (email, phone, address) and donation history not be shared, rented, sold or exchanged. • Ask the charity to put you on their Do Not Call list. Legally, they cannot contact you again upon receiving this request. If they do, report their contact to the state Attorney General or the local consumer protection agency. Bear in mind that the FTC’s Telemarketing Sales Rule requires that telemarketers reveal immediately the charity they represent, and to restrict their calling times to between the hours of 8 AM and 9 PM. 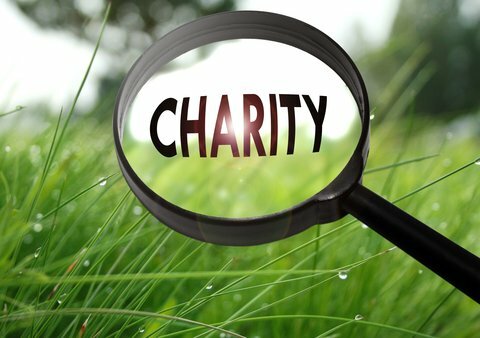 If you have questions about selecting or verifying a charitable organization, or the tax or estate planning ramifications of a giving campaign, contact Patricia E. Tichenor or Camellia Safi, estate law attorneys at The Law Office of Patricia E. Tichenor, P.L.L.C. We’re conveniently located in Leesburg, VA to serve clients throughout Northern Virginia. If you have never thought about including a charity aspect in your estate plan, we can help you put that into place as well. Contact us today. A protective, or restraining, order is a court-issued legal document designed to protect the petitioner from of violence, abuse and threats for a fixed period of time. It is designed to protect the safety and health of any person who is placed in fear or threat of bodily injury. This type of protective order is requested in emergency situations and therefore can be issued by any court, Juvenile or Domestic Relations judge, or magistrate at any time of the day or night. It can also be requested by a law enforcement officer without notifying the alleged abuser. Expires at the end of the third day after issuance or the next day court is in session (whichever is later). This type of protective order is issued by a Juvenile and Domestic Relations Court when the petitioner shows proof that they are in immediate danger from the alleged abuser, who does not need to be notified prior to issuing the protective order. The petitioner must either provide an affidavit or testify under oath, and the order expires 15 days following the day it was issued or until a full hearing. This type of protective order is issued following a full hearing, when the alleged abuser is given the chance to be heard in court. Its duration can last up to two years. When protection is first issued, it is only temporary, and is called a PPO, or Preliminary Protection Order. It will include a date indicating when you must return to court, generally in about 15 days, at which time the judge will determine if a Full Protective Order is required. Both the petitioner and the abuser are asked to be present. • Order the abuser to cease contact with you or other people in your family, in person, by telephone, at home or work, or anywhere requested within the order. • Order payment for costs resulting from abuse, such as household bills, medical treatment, loss of earnings, etc. All types of protective orders in Virginia can prohibit further abuse, prohibit any contact by the defendant with the victims of abuse, and remove the defendant from the home in which the victims live (without affecting the property’s title). Preliminary and full protective orders can also grant the victims the sole use of a motor vehicle either owned by the victims or by both the petitioner and defendant (without affecting the vehicle’s title), as well as order the defendant to provide housing for the victims. 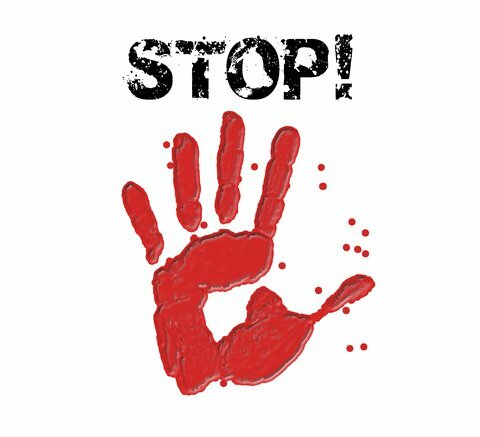 If you or your children are threatened, or if a member of your family or household harms you in any way, do not hesitate to file a petition against them in your local Juvenile and Domestic Division. However, as this legal document can only protect you if the abuser respects it, call 911 immediately if you feel you are in any type of danger. Every day the media is flooded with another instance of family-related violence. Don’t let the next story be yours. For information or any advice regarding family abuse or protective orders in Virginia, contact attorneys Patricia Tichenor and Camellia Safi at the Law Office of Patricia E. Tichenor, P.L.L.C. We can advise you on the best methods to keep yourself and your children safe, and on the next steps to take to ensure ongoing protection. Contact us today. 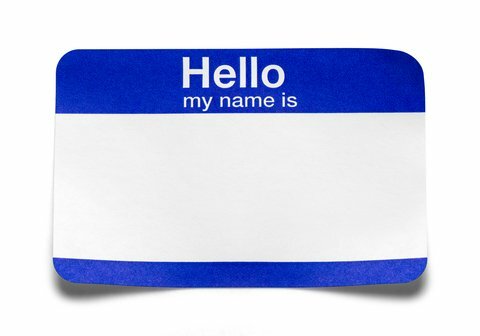 There are a number of reasons people change their name: marriage, divorce, adoption, escaping domestic violence, privacy/anonymity, difficulty in spelling, ethnicity, or for no other reason than they choose another. Wanting to change your name, and legally doing so, involves—no surprise—paperwork and fees. Virginia allows people to change their last name (surname) when applying for a state marriage license. Hyphenated names are also allowed. After the marriage, the valid marriage license serves as proof of name change. In a divorce, name change can be accomplished as part of the regular divorce process. Under Virginia law, a divorce court can restore a former last name with the final divorce decree, when asked to do so. If the name being sought is not a restoration of a spouse’s former name, they can file a separate Petition for Name Change in Virginia, as provided by a statutory law separation from Virginia’s divorce statutes, and obtain a new name. 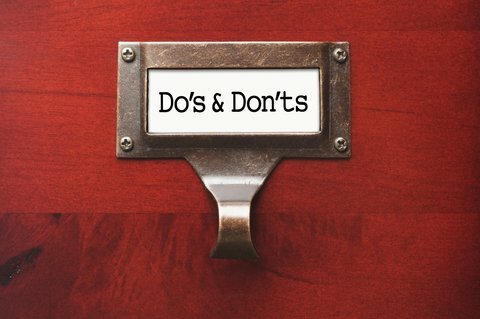 The latter option may be favored in situations of domestic violence where the spouse does not want the soon-to-be ex-spouse to know the new name sought nor obtain their endorsement (or that of their attorney) on the Order of Name Change. According to Virginia Code, you may not seek a name change for fraudulent purposes, like to avoid debt or defraud creditors, or if the new name will infringe on the rights of others. You must submit your name change to the Circuit Court in the county where you live, and must have lived in Virginia and the city or county of application for at least the past six months. Name change documents include a notarized Petition and Order that are presented to the Court. If the Judge grants your Order requesting a name change, you receive a certified copy of the Order. The Court looks at the best interest of the child when a name change is requested, and both parents (if living and not otherwise having had their legal rights terminated) must consent to the name change of a child or ward. If a parent’s location is unknown, notice through a newspaper publication, called an Order of Publication, may be used as a valid substitute for obtaining consent. If the parents fail to appear at the hearing date and time noticed in the newspaper, the Court will grant the name change so long as it finds the change to be in the child’s or ward’s best interests. The Circuit Courts of Virginia and the Virginia Supreme Court website provide basic Forms that a person may use to accomplish a Name Change. However, filling out your name change forms correctly is of paramount importance. There is a format to follow, and all previous name changes (including any from marriage) must be included. Both the Petition and the Order must be signed by the petitioner and the Petition must be notarized. Any mistakes in information or formatting will delay your name change and require submission of new documents. When you’ve made a name change, you will want to notify the following: driver’s license, social security administration, Internal Revenue Service, U.S. Postal Service, U.S. Passport Office, and Voter Registration. In addition, you will need to update your information on bank accounts, insurance records, medical records, utilities, legal documents, wills, etc. Do You Need an Attorney in Order to Change Your Name? You don’t need a lawyer to legally change your name, however, you certainly are advised to consult one to ensure that your name change documents are prepared correctly and otherwise done legally. Many law offices, including the Law Office of Patricia E. Tichenor, PLLC, offer such services at a flat fee (rather than an hourly fee rate). To discuss the legalities of changing your name, contact the family law attorneys Patricia Tichenor and Camellia Safi at the Law Office of Patricia E. Tichenor, PLLC. Contact us today.